"If at first you do not succeed try, try again!" Rant and Tip until the next time! Well my friends it has been some time since I started this blog and I will be back to it in the future. However I have to take some time off from blogging to focus on some personal issues I have at home. I love my children dearly and they must come first. I will be back but want to leave you with some words, whether they are wise or not is up to you. Many of us have tried many different diets over the years to only put the weight back on. That is because you look at these diets as temporary things in our lives. A diet has to be a lifestyle change. If you go on a “diet” and it works then stick with that method of eating. It obviously works for you. Too many people will go on a diet lose the weight and then go back to their old ways of eating. Then they wonder why they put the weight back on. It is painfully obvious why you put the weight back on. Unfortunately we do not realize it till after it is back on us. Also just the same way we have muscle memory I think our bodies have fat memory as well. It is just as comfortable putting it back on and carrying it around. The down side is our heart health, blood work and breathing capacity is all effected by the additional weight. Make your health a priority and you will find staying on your new eating plan, or lifestyle change will be much easier. When I first lost the 40 pounds of fat I was carrying around my doctor was thrilled with me. He said to me “Jim, what did you do” I responded “Changed my diet and exercised Doc”, “Just like you guys always tell us”. He and I later discussed how I change my diet to a low carb diet and he insisted on blood work another month out. He and I were both pleased to see my numbers in the healthy ranges and in the top 5 percent of his patients. 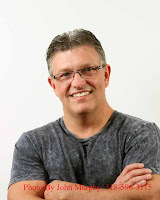 I created my own exercise program; it was something that worked for me. It started with a half an hour of strength training followed up by half an hour of cardio. The weight came off fast and I was please in the transformation of my body. I did not have to spend money on a celebrity endorsed exercise program. I just had to set my mind to fixing my body. 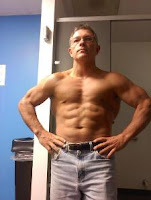 If you want an exercise program take a look at my links to the left. I am sure you can find something for yourself. I now train more for Powerlifting and do not have those workouts posted. It is always changing for me and I am still learning how to train like a powerlifter instead of a body builder. I have a lot to learn. However, for the average person just trying to get fit you will find a good starting point from my links. I do not charge for them but if you find them helpful and are so inclined please feel free to donate by using the link at the top of the page. Exercise really needs to be part of any healthy lifestyle change that is designed to help lose fat and stay healthy. Many people as they get older forgo strength training. This is the time to really work on your strength conditioning. 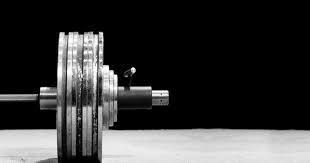 It is a fact that strength conditioning will help strengthen your bones and help with blood circulation. Your body regardless of age needs to be up under load. It is this load which triggers hormones in the body to repair and strengthen it. Remember we do not grow old because we exercise, we grow old because we do not. Dr. Anton Reel said to me “We may age, but we do not have to grow old”. I love that quote. Let’s all remember that one. God bless and until next time. Tip: I will continue to take questions from the email link above and look forward to hearing from you. I will not be gone forever, I just need some time for my children. Feel free to email me with questions and comments. With the meet coming up this Saturday this quote came to mind again. I tend to dwell on the mistakes I have made in the past and not look to the future and what I can make of it. If you are struggling with a weight loss issue or the fact that you just cannot get to a good workout routine, do not beat yourself up about it. Just plan a little better and look to the future and make it just what you want it to be. On a little side note here, when you do stress over something it releases more Cortisol into your system. Cortisol is a steroid hormone that is released into the body as a result of stress and this hormone can make it difficult to lose weight. It will actually aid in a stall of weight loss. My point here is not to stress over mistakes made in the past look ahead at the great choices you will make next time. My weight today was 167.4 which put me at just 2.4 pounds over the weight class, a perfect place to be for Saturday. It was just a matter of reducing calories and carbs while keeping my protein levels up to avoid muscle loss. Cardio is at a minimal right now so as to not let my body get catabolic. The key to losing fat and not losing muscle is a proper balance between carbs, fats and protein. If you reduce your carbs and fats you need to make sure to keep your proteins up to maintain muscle mass. This can be tricky. This is also why my cardio is at a minimal right now. Aside from some hard cardio Monday and Tuesday, Yesterday and the rest of the week will just be going for walks during lunch. I have been planning my menu for the meet on Saturday and believe if I eat properly for the day I will be able to hit some PR’s in the meet. I am striving for a big jump in my triple from last March; at least that is my goal. Everything hinges on me hitting my squats and making sure they are deep enough. 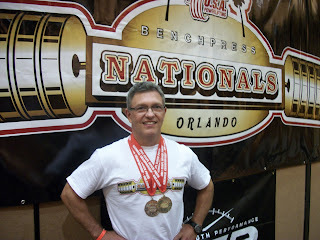 My goal weights were judged by a USAPL judge 2 weeks ago and they were deep enough. I just need to do it Saturday. 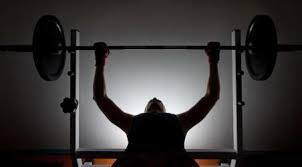 Tip: I was speaking with a co-worker last night and he made a comment he hates the gym atmosphere. I understand what he stated and that is why I have the workout plans on my blog designed to be able to be accomplished at home. If strength training is not your thing schedule some activities you do enjoy. Join a sports league or simply organize one in your neighborhood. Get a group of people together and have a game of soccer, basketball, touch football or some other activity you enjoy. Just get moving. It is so true that giving up seems to be so easy. It is our greatest weakness as humans. Whether we give up on our diets or our exercise routine it is hard to realize that if we would have just stuck with it we could have been so much more healthy. Some of us follow and exercise and diet routine because of vanity. Personally I do not care why you follow a proper diet and exercise program. The bottom line you will be a healthier individual in the long run if you do. Looking better is a minor benefit when you consider that fact your resting heart rate is down, your blood pressure is in line, and blood work tells a story of a healthy individual. Rest is vitally important when it comes to muscle and strength gains. It is not from the actual exercise that you get stronger it is from the muscle resting and repairing from the exercise that gets your stronger. 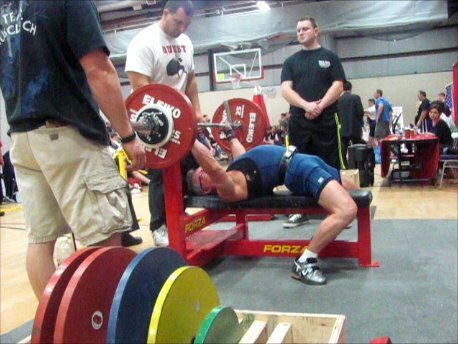 Many lifters employ de-load weeks in their workout routines. Even taking a full week off can be very beneficial. How Long Before My Muscles are Recovered? It takes a muscle 7 to 10 days to fully recover naturally. Therefore, training a body part twice a week is worthless. You will produce far better results by training each muscle group once a week. Other factors that affect recovery are adequate sleep, proper nutrition, and supplementation. Sleep is important for muscle growth and you should get a minimum of 8 hours a night. Added power naps throughout the day are a benefit. Nutrition is important on the days you train, as well as the days off since growth takes place away from the gym. Many people fail to make the off training days productive by eating haphazardly. Your off training days are just as important as your scheduled training days. Tip: Listen to your body and determine if you need a down week or even month. Sometimes your body will need a good couple weeks to recover. I know this is a quote from a bodybuilder but it rings true in all areas of life. For those of us who struggled with or are struggling with weight loss you need to be able to believe that you can and will be successful. This is very difficult for many of us. I know some people who even after losing the weight do not realize they have succeeded. They never envisioned themselves successful in their weight loss and hence do not believe they have achieved it. Look at yourself and acknowledge that you can and will be successful. See in your minds eye that you can succeed and make the changes that need to take place. Acknowledge the areas you need to work on and work on them. I acknowledge my squat and deadlifts are a weak component of my powerlifting total. I will be successful in working these lifts and I will visualize how the lift will look and feel when done properly. The deadlift will leave marks on my shins as I drag the bar up my legs. Even with lighter weights. 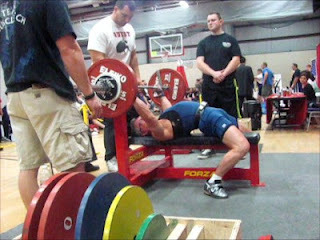 I will not let my shoulders drift over the bar as I pull the weight up. Having shorter arms I like to perform the deadlift in a sumo stance. To perform the sumo deadlift. Stand facing the bar, with legs wider than shoulder-width apart and toes pointing out in line with the knees. Pull the slack out of the bar. Keeping your back and abs tight. Pull the weight towards you while trying to spreading the floor apart. Keep your chest higher than your hips. Everyone is bound to give in to temptation from time to time.The problem isn't that you gave into a one time temptation, the challenge is not letting that one time temptation turn into an all out binge. Giving into the mind set that well I have already blown it I may as well go whole hog for the whole day. Once you have that binge get back on course. Do you place your mistakes on your head? A friend posted this on facebook this morning and to me this says it all. We all have made mistakes or done things that we are not proud of. If we let these things weigh on our minds it will destroy us. It will weigh us down. Nothing is worse than spending your time rehashing an error in your eating plan or over thinking a lift that went poorly. I have had both happen to me. Usually with the eating part it is easy for me to move on. However when it comes to lifting I sometimes become a head case and this I need to get over myself with. No need to rehash what I did wrong. Just go out and do it right next time. If you are finding that you are not able to follow your diet take a look at what you are eating. Maybe you are just bored with what your menu has been and do not tell me you miss your pasta. We all know pasta is just a venue to carry sauce of some type. Which depending on the diet you follow you may be able to have on something else, like spaghetti squash. It is easy to fall into a rut with your food. I tend to eat the same things all the time. However I look at food as fuel now and not much more. So for me while boring, it serves it purpose. Do not get me wrong sometimes I will make something special and then I am still able to stay on plan. This week is a light week in terms of my workouts. With the meet next weekend I will not be going heavy. I will only work up to my opener. Maybe my second lift too. 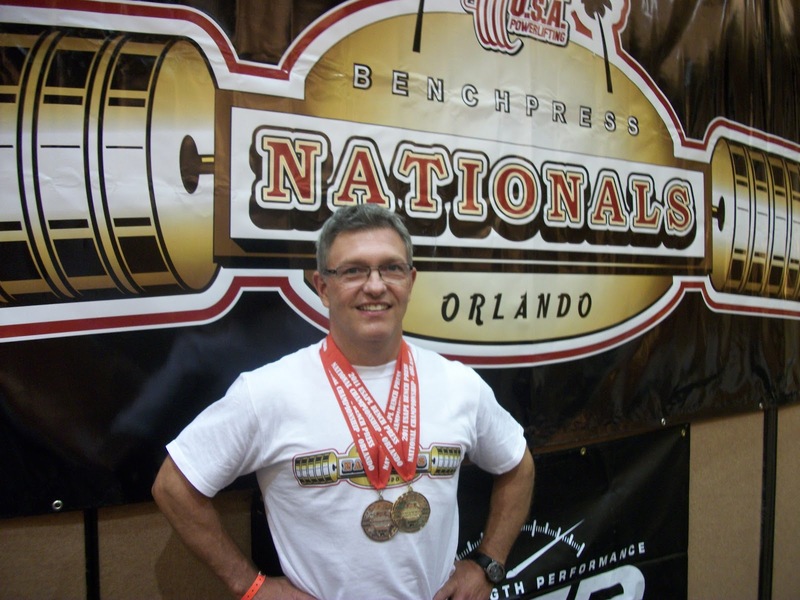 I will check with some more experienced lifters and see what they think. I missed my bench night last night, so tonight, since it is a light night I may do both squat and bench. This may be a good thing as my trainee has not done both in one day. This should be a good meet. Tip: Life happens and we need to be flexible in our workouts. We cannot always get what we want but we do need to make it a priority. Treat your workouts like a doctor’s appointment and do you very best to make each one. We are upon another day and I am behind schedule already. An hour to be exact. It is very hard to make up that hour when you lose it. The day will compound and you will have a harder time making up that time as the day progresses. As I sit here, it makes me think about life. When we lose some time in our life it is hard to make it up and as we get older it gets even harder. Our time here on this earth is finite. While we want to eat drink and be happy, it seems that when we eat and drink to excess or of the wrong foods it becomes more difficult to keep happy. Our bodies will start to break down and wear down. Think about it, if you are still that hour behind right before bed you never made up the time and got to accomplish everything you wanted to. Don’t keep putting off things you want to do, like eating properly and adding an exercise regimen to you daily lifestyle. Take the bull by the horns and go enjoy life. Your mind will be sharper, your spirit will be happier and your body will be healthier. You will be able to do so many more things in your lifetime if you keep that body moving now. Benching tonight and nothing heavy. 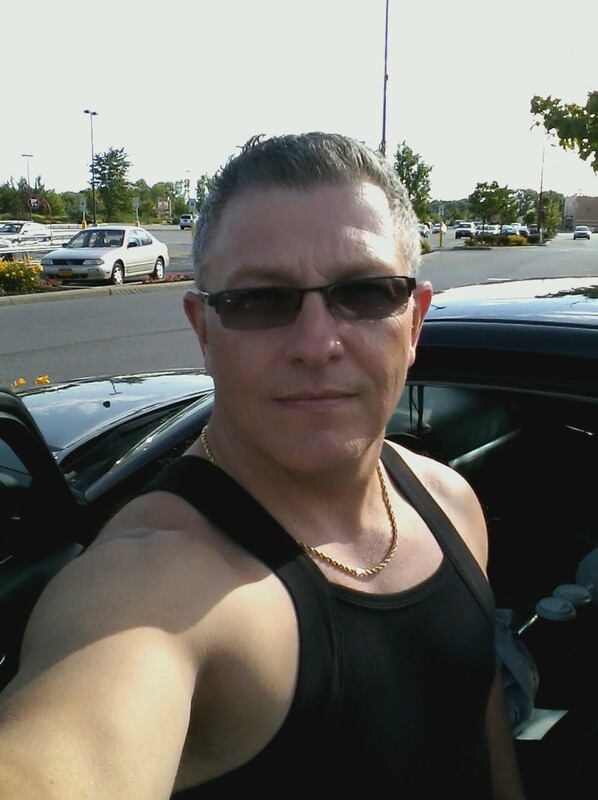 I am only 11 days from my meet in Albany NY. I will work up to my opener for singles with a pause and make sure everything is tight. Working my set is the most important piece tonight. The tighter the shoulders and the harder the arch and drive with the legs the stronger the lifts. Tip of the day: Do not hit the snooze button! IF vegetables smelled like bacon! Make your hopes and dreams come true now! Are failures in life necessary?